I don't know about you, but I find weekdays to be excruciatingly long, and busy! Life is just really hectic at the moment (when is it not?) and I find myself so tired at the end of each day. To break some of that monotony, I go back to one of my new years resolutions, which was to get out of the house more often during the day. It's easier for me than for most people, all I have to do is grab my laptop, phone and bag and I am ready to work from pretty much anywhere. That's exactly what I decided to do yesterday, I had over an hours worth of photos to edit and decided why not work from the park while the kids got out of school. This is definitely a much better office space in my opinion, how nice it was to actually get to see the beautiful day and what is the beginning of the coming Spring. To make my afternoon even more perfect I grabbed my non-gulity favorite treat to enjoy while editing, a bag of DOVE® Fruit. Have you seen these at the store? I love these! You know in this house, we LOVE chocolate, but when you get to mix DOVE® chocolate with real fruit (cherries, blueberries, and cranberries), well then there it becomes even more amazing! And this is not a snack I have to feel guilty about enjoying at all, because DOVE® Fruit combines the wellness benefits of dark chocolate with fruits. My favorite of the three flavors of DOVE® Fruit is for sure the Whole Cranberries. They are so tart and sweet, they are seriously the perfect snack for anytime. I know they certainly made my one hour of photo editing a lot more pleasant! I love taking photos and getting those perfect shots, but I am not as much a fan of editing. Having yummy dark chocolate covered cranberries made this a more delicious editing session for sure. As any good mom, I brought along a few other bags of DOVE® Fruit to share with the family once they all got out of school. Along with DOVE® Whole Cranberries, I brought along DOVE® Whole Cherries and DOVE® Whole Blueberries. This time I shared some of my delicious DOVE® Fruit, but normally this is the snack that I reserve for myself. When I am in Walmart, I will pick up a few bags and then when I get home I put them in my hiding place, so that the sneaky girls won't beat me to them. I'm serious, in this house if you don't hide the chocolate, it won't be there when you go looking for it. 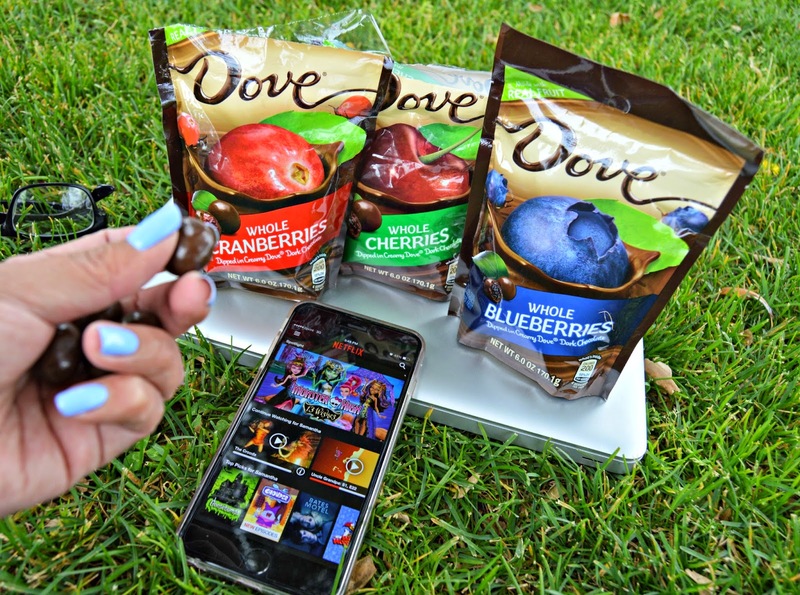 Who wouldn't want a handful of DOVE® Dark Chocolate with fruit? My girls would, let me tell you! 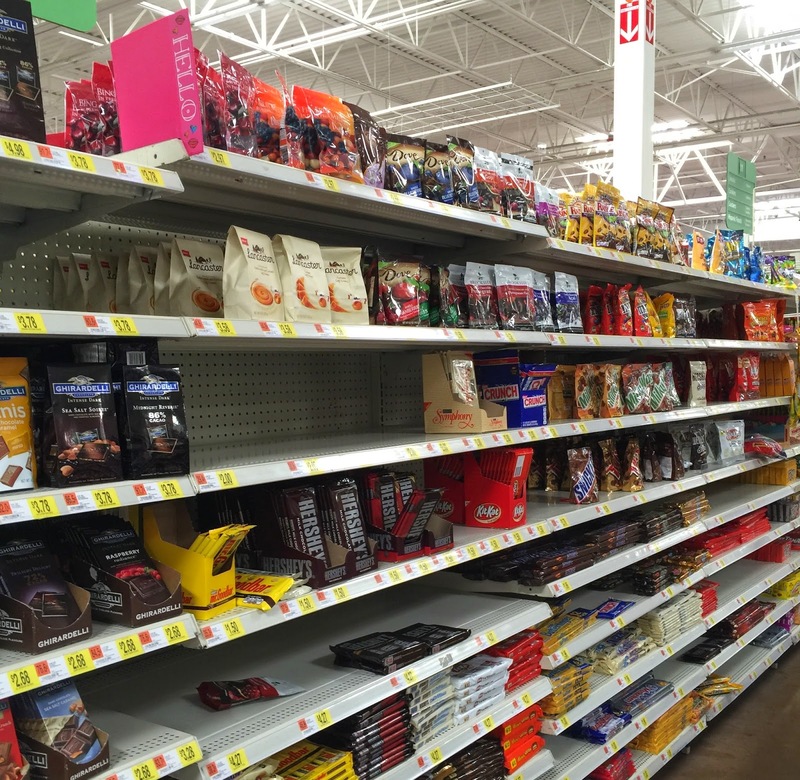 Next time you find yourself in the Walmart candy aisle, do yourself a favor and pick up a bag (or bags) of DOVE® Fruit. Dark chocolate and fruit, yum! Then you will have the perfect non-guilt snack for all those moments that could use some sweetness. Laundry time, cleaning the house, running chores in the car: all those moments can be made better with a handful of of DOVE® Fruit. All three flavors are delightful and the perfect perk me up! DOVE ®Whole Fruit (cherries, blueberries, and cranberries) dipped In Dark Chocolate are a delicious way to make just about any moment better. This good for me treat is my go-to when I have some of those precious minutes to myself. Not just great for snacking, you can also use DOVE® Fruit in so many recipes! Find many ideas on the DOVE® Fruit social hub. And you can also download a coupon to save on your DOVE® purchase. What moment of your day could be made better by adding some yummy DOVE ®Fruit?